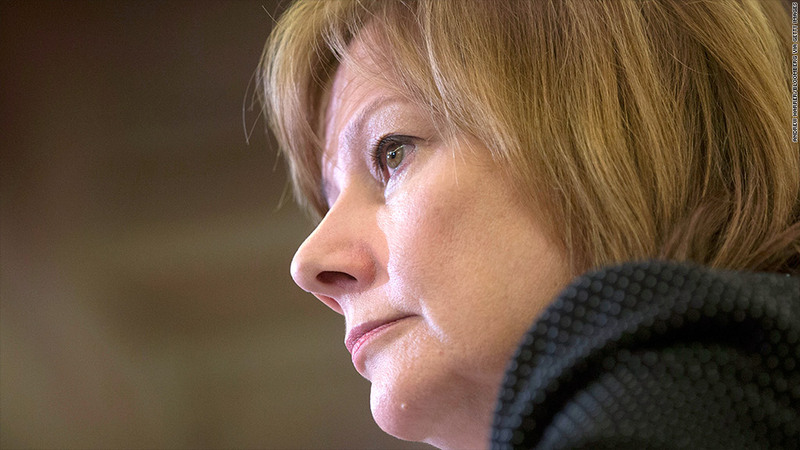 GM Chief Executive Mary Barra put two engineers on paid leave because of the massive recall over faulty ignitions linked to at least 13 deaths. General Motors has placed two engineers on paid leave as part of the investigation into the massive recall that has been linked to at least 13 fatalities. GM Chief Executive Officer Mary Barra confirmed Thursday that the engineers were placed on leave following a briefing from Anton Valukas, the former U.S. attorney overseeing an independent investigation into a recall of 2.6 million cars with ignition defects. "This is an interim step as we seek the truth about what happened," Barra said. GM has traced a defect in an ignition switch to at least 13 deaths. The defect caused the car to shut off while driving, disabling the airbags, power steering and anti-lock brakes. 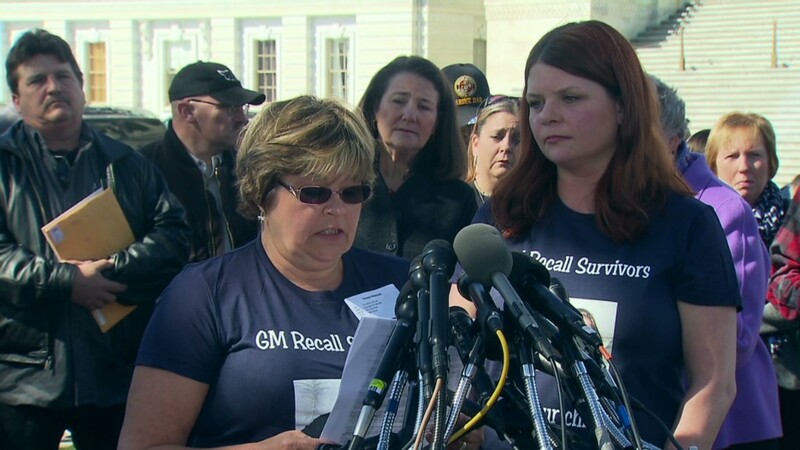 GM (GM) knew of the problem as early as 2004, and now federal investigators, Congress and attorneys representing GM vehicle owners are asking why the company didn't issue a recall years ago. A source familiar with GM's actions acknowledged the engineers are Ray DeGiorgio and Gary Altman. DeGiorgio was the engineer who in 2006 approved a part modification to fix the issue, documents GM provided to a congressional panel show. The part number, however, was not changed, which Barra last week told lawmakers was "not acceptable." As a result, the change flew under the radar for several years. Lawmakers, in grilling Barra, accused DeGiorgio of lying and attempting to cover up the issue. Barra said the whole matter is part of the internal inquiry. Citing the personnel matter, GM declined to make the engineers available for comment. In February, GM recalled all years of the Chevrolet Cobalt, Pontiac G5, Pontiac Pursuit and Saturn Ion, as well as 2006 to 2007 Chevrolet HHRs, 2006 to 2007 Pontiac Solstices and the 2007 Saturn Sky. Meanwhile, the National Highway Traffic Safety Administration is fining GM $7,000 a day for failing to answer 107 questions about its ignition switch recall by the regulator's April 3 deadline.